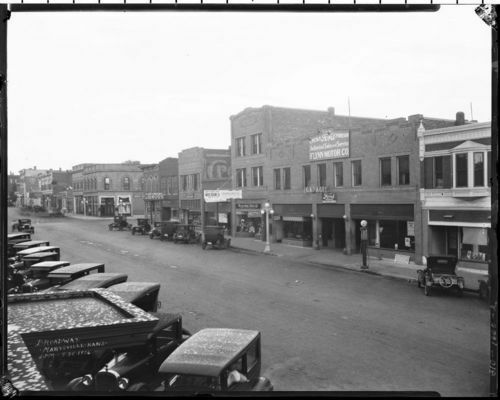 This photograph shows an exterior view of the G. T. Ingalsbe Drug Store and other businesses on Broadway in Marysville, Kansas. Other businesses visible along the street include Montgomery Ward and Company, a hotel, and the Flynn Motor Company Ford sales and service building. Several automobiles are visible parked along the street.